I ask your forbearance in getting this post out to you so late. I was in the hospital three times (almost three weeks since January 1st) and in rehab for two weeks all since the first of January. First, my diabetes attacked my legs in what I can only describe as hellish. I have read that it can take up to two years to heal! Then one of the grafts that were hooked up during a quadruple bypass 17 years ago had to have a stent inserted. So now I am back to my old self, just as ornery as ever. So we saddle up our keyboards and begin anew. I have been researching two topics simultaneously, The Singularity for this post and Populism for my dabberduckbutts.com blog. I honestly cannot say which scares me more. In the short term, the populist and nativism have bent in this country and many others around the world are doing the most damage I think. The groundswell of its noise is becoming deafening mostly due to the antics of its chief proponent Trump. Yes, I will get to that topic before long. This image of The Singularity harkens to the painting by Michaelangelo. The Singularity caught my eye last year. I don’t know how or where I came across the article regarding the Singularity Hub. The thought just crossed my mind regarding two battles currently being waged in rage by those for populism and nativism vs those that oppose those forces in the US and around the world. Before going any further we should define the ideas espoused by the proponents of The Singularity. This pronouncement is by a retired professor of mathematics and computer science who is also a science fiction writer. Professor Vinge states the acceleration of technological progress has been a central feature of this century. He argues that we are on the edge of change comparable to the rise of human life on earth. This change will be wrought by “entities” with greater human intelligence. The Singularity then is the point of no return, technology will overtake humanness. The Singularity depicted in a graph denoting the rapid acceleration as the time predicted for its beginning approaches. Another well-known futurist, Ray Kurzweil, is Google’s Director of Engineering. He claims an 86% accuracy rate relating to his 147 predictions since the 1990s. Mr. Kurzweil is not alone in his prediction. He is joined by Softbank CEO Masayoshi Son who predicts this will happen by 2047. Kurzweil believes that process has already begun. On his site: http://www.kurzweilai.net/, he also discusses Universal Basic Income, the end to human disease, the future of human longevity and so on. It is a clearinghouse for other fascinating articles and predictions. Mr. Kurzweil proposes his ‘Law of Accelerating Returns’. He believes some of the incredibly fast revelations of the power and might of AI such as Machine Learning, Deep Learning, Neural Networks and so on have already crashed into our psyche. Additional notable references to The Singularity are made by Peter Rejcek in an article “Can Futurists Predict the Year of The Singularity” March 31, 2017, posted at http://www.singularityhub.com. He notes that many futurists are restless while waiting for The Singularity to occur. They see it as a positive event to free us mere mortals so we can dedicate ourselves and our intellect to more high brow tasks than merely working, eating, living as humans. Even Elon Musk, of the Space X rocket and driverless AI-powered semi-trailer trucks fame, has a strong interest in The Singularity. Mr. Musk has a company, Open AI, that is dedicated to developing artificial general intelligence (AGI) to ensure the development of AGI is beneficial to humanity. AGI is another term for human-level intelligence. Another futurist is Ben Goertzel, the chief scientist at financial prediction company ‘Aidyia Holdings‘ and robotics company ‘Hanson Robotics’. Hanson is an advisor to Singularity University. Hanson Robotics has built the most advanced robot to date (March 2017). Her name is Sophia. She is a media darling starring on The Tonight Show with Jimmy Fallon. Her press coverage has the potential to reach over ten billion readers. Breathtaking! She even has her own website. Dr. Hanson believes that three main characteristics have to be developed in intelligent machines namely creativity, empathy and compassion. He believes that genius machines can evolve to solve the world’s problems that seem to be insurmountable problems to humans. Different faces of Sophia developed by Hanson Robotics. So we have divergent views of what ‘The Singularity’ will bring. Will it be creative and compassionate as Dr. Hanson wishes? Will it be benevolent per Elon Musk? Will it have the level of human intelligence of Ray Kurzweil? Or will it be foreboding as Dr. de Garis envisions? Just maybe The Singularity will not occur by 2045 as Paul Allen, co-founder of Microsoft asserts. His article “The Singularity Isn’t Near” appeared in the MIT Technology Review. One of Mr. Allen’s assertations for predicting that the 2045 expected date will fail is that he believes that there will not be enough computing power by 2045. He also believes that software complex enough to calculate the components of the human brain will not be available by then either. This article was written in 2011 but seems as current today as it was then – until last month. However, enormous progress has been made in quantum computing. This progress has just exploded in the last month or two. Albert Einstein had trouble with Quantum Computing. “The Nobel Prize Winning physicist declared that the thinking behind quantum mechanics was fundamentally flawed. Scientists have since proved the theory repeatedly and conclusively.” Jack Nicas October 16, 2017, How Google’s Quantum Computer Changed the World in the Wall Street Journal. In his article, Jack Nicas interviewed Hartmut Neven, the German computer scientist that led the Google Glasses project. Jack tried to use a “Cliff Notes” version of the theory of quantum mechanics and I must confess even the simplified version is way over my head. I think I need a really ‘dumbed down’ version. My simple explanation, and it may not be correct since it misses so much ‘meat’ is a single atom can be in two locations at the same time. This, of course, leads to speculation of objects existing in multiple dimensions, or parallel universes. In practical terms, I made mention in a recent post ( “Slamma Jamma”” published on January 29, 2018.) of the Chinese developing the perfectly secure system for transmitting documents using quantum mechanics. Per quantum mechanics, rules state once a bit (the “secret key”) has engaged any attempt to ‘hack’ into the record will destroy it. It would seem that is a pretty secure way to keep something. If someone tries to look in, boom, it vanishes. The experiment that demonstrated this successfully was between China and Austria. It has led to the thinking of the ‘quantum internet”. The quantum computer must be kept in a cold state to function. for computing research. Intel made the announcement at the Consumer Electronics Show in Las Vegas in January 2018. In an oversimplified explanation of how quantum computers work: regular semiconductors represent information as a series of 1s and 0s. The unit of computing in a quantum computer is a qubit. Qubits can compute as both a 1 and a 0 simultaneously. Two qubits can represent the sequence 1-0, 1-1,0-1,0-0 at the same moment in time. A quantum computer with as little as 50 qubits can pack more computing power than the most powerful supercomputers. The basis of computing power is found in Moore’s Law. It dictates that computing power per unit would double every 18 months while the price per unit would drop by half. However, the point has now been reached where the amount of money needed to squeeze out improvements is greater than in the past. Quantum computing is a way to move past that. In November 2017 IBM announced it had built a quantum machine that uses 50 qubits. This is a major breakthrough because it represents the critical barrier where quantum computers are believed to accelerate past traditional supercomputers. A major issue with quantum computing is displayed in the IBM machine. It can only maintain the quantum computing state for 90 microseconds at a time. These machines must be supercooled to work and a separate set of calculations must be run to correct errors in the original calculations. Google’s quantum computer is racing to achieve “quantum supremacy” in 2019. The test needed to pass to achieve this prize is an obscure computational problem that would take a classic computer a billion years to complete. Success means that this computer will achieve something that even a few years ago would have been thought to be impossible. This computer will mark the end of the ‘classical age’ of computing. Hand in hand, the end of the classical age in computing and the beginning of the age of machine intelligence will mark extreme changes. The next few years will mark advancements in human knowledge that have taken the time since man-made cave paintings to achieve. When accomplished, the very next few minutes of time will eclipse that sum of knowledge. Another Googler, Google co-founder Larry Page has a flying taxi service. It is cleared for takeoff in New Zealand. This all-electric vertical take-off and landing machine has taken flight. Seemingly a cross between the Delorean of “Back to the Future” meets the hovercraft of “The Jetsons”, Cora is on the move. The comparison is presented in an article by Sherisse Pham of CNN Tech March 13, 2018. “Cora” the vehicle takes off like a helicopter and transitions to a plane. Cora is self-piloting, can fly at 93 miles per hour and can travel 62 miles. Uber and Airbus are also racing to commercialize flying taxis. Meanwhile, in China, a company ‘Ehang’ released a video of passengers climbing aboard its autonomous drone and taking off with the push of a button. This still is taken from a video of a Ehang drone taxi carrying a passenger. Ehang boasts at least 40 successful journeys. It wasn’t until January 2018 that it shared footage of the flights.Video of Ehang 184. It would appear that America’s first entry into the market, Boeing, has some catching up to do. The Singularity, that potential “paradise” where humans won’t have to work. Quantum computing where all the intransigent problems of the world can now be solved by computers. Both of these ‘futures’ are still developing in the wings. In the present, wings are being flown by a Chinese company Ehang and a New Zealand company Kitty Hawk. These two companies are really the ‘disruptors’ today. They are showing the rest of the world the possibilities that can be realized now. 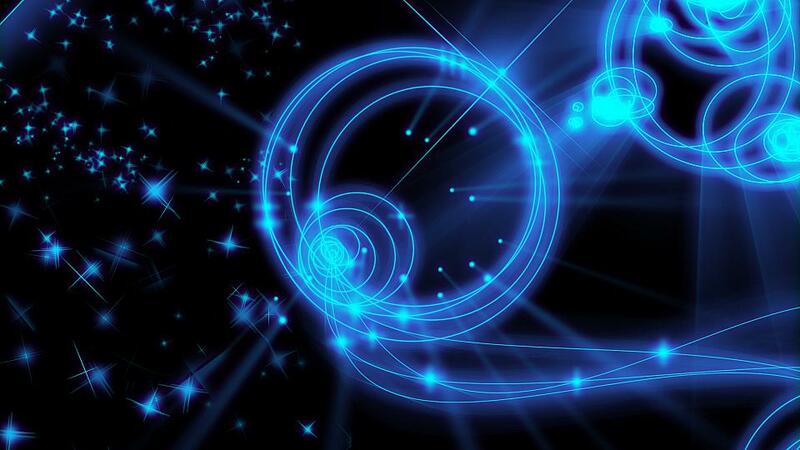 The explosion of The Singularity, Quantum Computing soon to come.